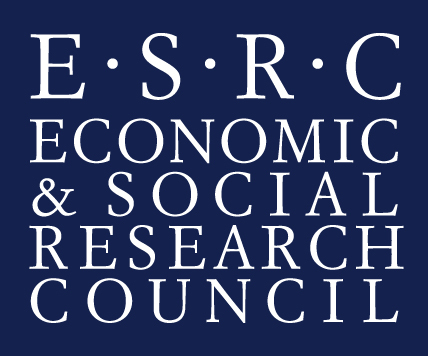 ESRC Festival of Social Science – Call for proposals! An open-door event for commercialisation professionals to share information relating to good practice and successful case studies in the Social Sciences, Arts and Humanities. There seems a drive within the community of commercialisation professionals to engage more with the Social Sciences, Arts and Humanities in a practical and meaningful way. Some of this emanates from the drive for more impact within the research funding sphere where Knowledge Exchange has led the way, but carrying this through to tangible commercialisation opportunities for which standard Technology Transfer Office approaches have little traction is proving much more challenging. Isis Innovation will host and facilitate an event for commercialisation professionals to come together and share knowledge about their successes and good practice in commercialisation from the Social Sciences, Arts and Humanities. This is open to staff in all Universities who may have an interest in this nascent area. This is expected to be a highly interactive event. This event is FREE. This knowledge sharing event will be held at the offices of Isis Innovation Limited, Buxton Court, 3 West Way, Oxford OX2 0SZ. Map. Click here for or more information on this event and PraxisUnico. Tomorrow Prof. John Holmwood (University of Nottingham) will be the first speaker in the Distinguished Social Scientists Public Lectures Series at Bournemouth University. The topic of his presentation tomorrow at 18.00 at Talbot Campus will be ‘The University, Democracy and the Public Interest’. The Distinguished Social Scientists Public Lectures Series was idea of Prof. Ann Brooks. There are still places left for Monday 13th, click and book here! In October, Michelle Lillywhite and Karen Sampson, final year students on the BA Social Work programme at Bournemouth University attended two conferences, one organised by a local charity working with adult survivors of childhood abuse Dorset Action on Abuse (DAA) and the second organised by British Association of Social Workers (BASW) in conjunction with the Northern School of Child and Adolescent Psychotherapy. DAA, who offer support groups and one to one counselling for adult survivors, held their annual conference in Boscombe, Dorset. 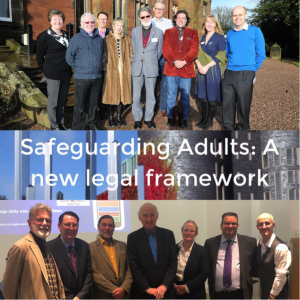 The theme of the conference was supporting people who have been sexually abused though the criminal justice system and how this can effect the working relationship between practitioners and survivors, alongside the personal impact of this work on practitioners. Speaking on the day were representatives from both the local Dorset police’s Child Protection Unit Senior Investigating Officer, John Merrick and Julia Woodward, Senior Crown Chief Prosecutor, from the Crown Prosecution Service Wessex. The questions from the floor about when the police ‘believe’ a victim were answered with a refreshingly honest account of a police investigator who explained their role isn’t to believe but to build a case with evidence that has a ‘high chance of conviction’. We felt, however, that it is the role for the social worker/counsellor to offer this trust, belief and acceptance of the victim and that the police had a very different, more process-led role within the journey of criminal proceedings. This provided us with significant insights into the differences between professions engaged in the same kind of work with people. The support that DAA offer people within the local community through these difficult and challenging processes was a continual theme in the personal account shared offered of a survivor’s journey through the criminal justice system which for them resulted in a conviction and ‘validation’ that the horrific abuse they endured was wrong. It showed us though that while the triumph of a conviction is a positive thing the essence of the entrenched abuse and the victims’ mind-set resulting from their experiences is not so easily eradicated. An important lesson for us as trainee practitioners was that even though we see that justice has been done it does not mean that ‘closure’ can ever really be attained; something we will remember. The national BASW conference, held in Leeds, was entitled ‘Unsticking the stuck’ and based on a live supervision session with a willing volunteer. The facilitator demonstrated to us how we, as practitioners, can get ‘stuck’ within a case by not concentrating on the most important aspect: understanding and working towards the needs of the client. 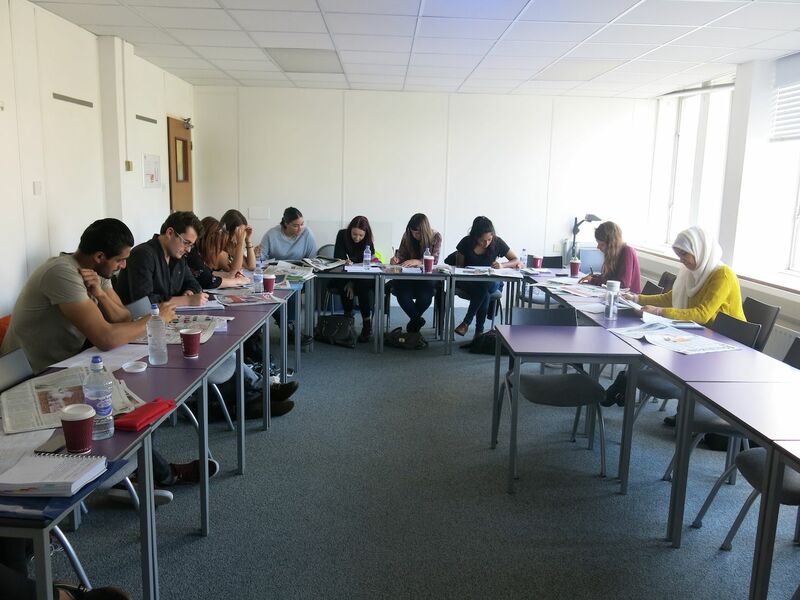 In this scenario, the delegates comprised a good mix of students, like us, and more experienced and qualified practitioners who dealt with complex cases – something we aspire to do once qualified! The initial expectation of the day was that we would come away with some therapeutic interventions to add to our ‘toolkit’ before undertaking our practice placement. However, this was not the case, rather the day prompted an exploration into the meaning and importance of supervision for us as practitioners. 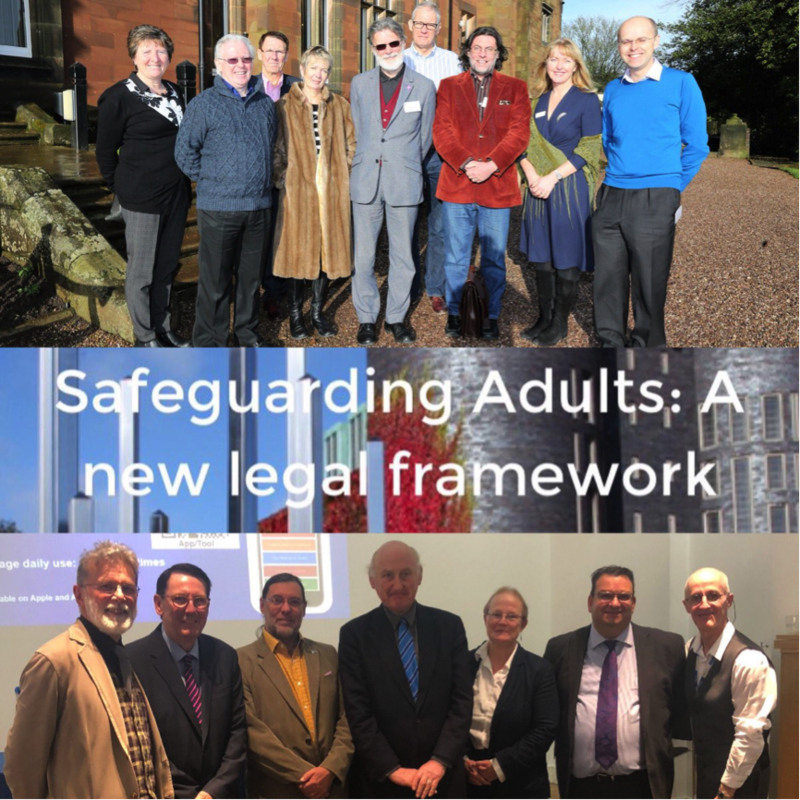 I think as well being able to understand and get to grips with a real case and not just a case study the conference gave our discussions on the day more credence and depth as this was a real situation, laced with complexity. It introduced us to something, unfortunately, ever prevalent within our society. Attending external conferences gives us, as trainee practitioners, the ability to step outside of our comfort zone – the classroom – and explore our knowledge, experiences and natural instincts of working with an increased understanding of complexity. Crucially, this gives us the opportunity to gain insight into the remit and responsibilities of other practitioners which can only strengthen our awareness of the importance of today’s multi-agency working. It creates an understanding of working strategies and thinking outside the box plus the opportunity to network, share ideas and in these cases add something to our ‘personal toolkit’ as future practitioners. Last year, I put together a small HEA individual grant to build upon our earlier research concerning terrorism and social work education, and civil unrest and welfare in Muslim countries. Unfortunately, the bid was unsuccessful but one should never let a good bid go to waste. Given that it was education focused, based around co-production and student enhancement – a ‘fusion’-based project! -I thought rather than try somewhere else for funding I would embed it into the third year undergraduate Sociology unit Terrorism, Protection & Society, where it would have sat if successful. The project encourages active student engagement in learning, employing a methodology of co-production of knowledge in which skills to collaborate in producing critically informed and societally beneficial knowledge will be developed. Students are reading, critically, major UK newspapers, identifying and analysing those articles that mention ‘terrorists, terrorism or terror’ and associated concepts. From this they are engaged in identifying the processes by which our dominant cultural frames are constructed and can be challenged. The project findings, once 30-days worth of newspapers have been scoured for relevant articles, will be widely disseminated through the production of academic papers, a submission to eBU and through conference presentations. Students following the Terrorism, Protection & Society module, engage in learning how the ‘other’, in this case ‘terrorist’, is constructed within popular debate and within the public media in the UK. 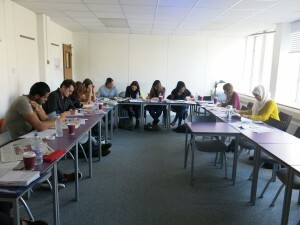 As part of the project rooted within the unit, students will also analyse the media’s use of target terms (terrorist, terrorism, terror and so on) through a content and discourse analysis, and debate the potential consequences of this for contemporary society and for developing a deeper and more nuanced understanding that can assist in restraining social conflict, violence and the ‘othering’ of those who may be associated with core characteristics of ‘terrorists’ according to the socio-cultural master-narratives created by media representations. Students will produce a paper with academic staff for the eBU on-line journal; most co-production of academic papers with students occurs at postgraduate level and this project has a degree of originality in promoting co-production of academic knowledge with undergraduate students, something we have done already in respect of edited books. Other academic outputs will be developed and students demonstrating interest and capacity will be invited to participate in their production. Alongside the academic publications envisaged, this proposal meets BU’s fusion objectives in seeking also to add to the corpus of evidence of pedagogical benefits for students of knowledge co-creation and includes a focus on the student experience of the processes of learning. Thus, as part of the teaching and learning students engage with, the project has wide reach and significance for student learning and pedagogical development by enhancing social and cultural understanding amongst students who will soon graduate, alongside producing autonomous and critically thinking individuals who can translate their learning and core skills into the employment market. This week students energetically engaged with the preliminary data extraction and coding of those newspaper articles dealing with concepts and issues that were termed or could be termed as terror, terrorist, terrorism, extremism and so forth. The work undertaken helped to put in perspective some of the first two weeks’ lecture material and allowed the students to bring their own critical understandings to this complex and emotive area. So far, the project has illuminated to me what an incredibly versatile and intellectually agile student body we have; people who will be an asset to the workforce of the future and a credit to our university! I am looking forward to the following weeks as the project unfurls. A very significant aspect of our Fusion Funded Study Leave has been our invitation to spend time as Visiting Professors at the Tasik Chini Research Centre, Universiti Kebangsaan Malaysia. 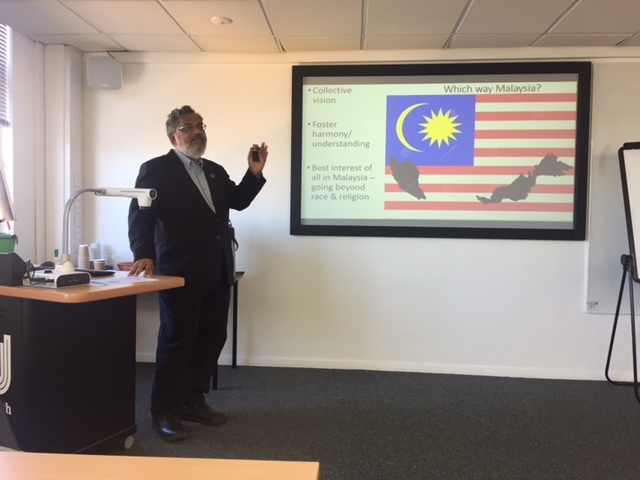 This Research Centre is primarily a natural science-based one, which is now expanding its remit to embrace social science, and which focuses on Tasik (Lake) Chini in the State of Pahang, about 4 hours drive from Kuala Lumpur. This lake, one of only two freshwater lakes in Peninsular Malaysia, is composed of a very large area of 12,568 acres, and in terms of beauty and grandeur was not dissimilar to England’s Lake District. Google the lake and a serene vision will appear of placid waters smothered in ravishing pink and white water-lilies in a valley of opulent, teeming rain forest and rimmed by green mountains. A veritable paradise, seemingly, and also the traditional ‘native’ lands of a community of indigenous, ‘first-people’, of Malaysia, the Jakun tribe of the Orang Asli (original people). Hardly surprisingly maybe that this wonderful area received coveted UNESCO Biosphere Reserve status due to its lush diversity of flora and fauna. However, although once a popular eco-tourist destination, very few tourists are spotted now and the trade has virtually died off. The reason being that the lake itself is dying with total and irreversible collapse of the ecological system predicted by 2030. Unrestrained mining of the mineral-rich soil in the area has led to mass deforestation, while logging, itself, and destruction of the colossal swathes of the forest has made way for Oil Palm plantations. 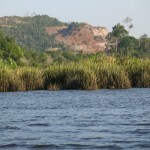 Contaminants from mines in very close proximity to the lake have caused considerable pollution and the replacement of local flora with a pernicious species of aquatic weed and algae. 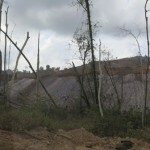 To add to a catalogue of disasters, and against the wishes of the those Orang Asli communities who managed to hear of it (as they were not formally consulted) and Malaysian environmentalists, an ill conceived dam was placed in 1994 at the juncture of the Tasik Chini and the great Pahang River. This served to prevent the annual ebb and flow of the lake that made boating of tourists difficult at times but was essential to the ecosystem of the area The lake is now stagnant, polluted and the fish, upon which the Jakun relied on as fisher folk, frequently unfit to eat, their flesh being tainted and their bodies invaded by parasites. Our role as social scientists invited to work with the Tasik Chini Research Centre is to help to bridge the gap between scientific knowledge of the problems here and the local communities. Our work is to aid amplification of their voices in speaking of their experiences of trying to survive in traditional native lands that have been violated and usurped. With our fourth intensive field trip to Tasik Chini coming up this week and a packed itinerary of interviews and focus group discussions planned with the local villagers, our ethnographies are rapidly developing. The Orang Asli people have much to be angry about and although too often treated as backward and uneducated in Malaysia itself, they have impressed us considerably with their passion for their lands, their rage and grief at the destruction, their eloquence, their gracious hospitality to us – and their ability to organise their communities and their protests up to the highest levels of Government. Truly they are a great if much abused people and we count it a pronounced honour to be so warmly welcomed by them, and regard this as some, and maybe, the most important work of our careers. We hear much in the UK of the trite, overused and sometimes disingenuous phrase ‘making a difference’ when applied to higher educational endeavour and these experiences have brought into sharp relief the differences between its application to the banal and to the truly tragic. This area is part of the traditional land of the Jakun, and as such should be protected and preserved. But much more than this it is an international site for the earth’s future generations and we must, as academics, plough back what little knowledge we have into securing this heritage. Academics based in HSC have experience in a wide-range of research. In the process of reflecting on all aspects of the research process several members of HSC have published about ethical issues that they have had to address in their own research. 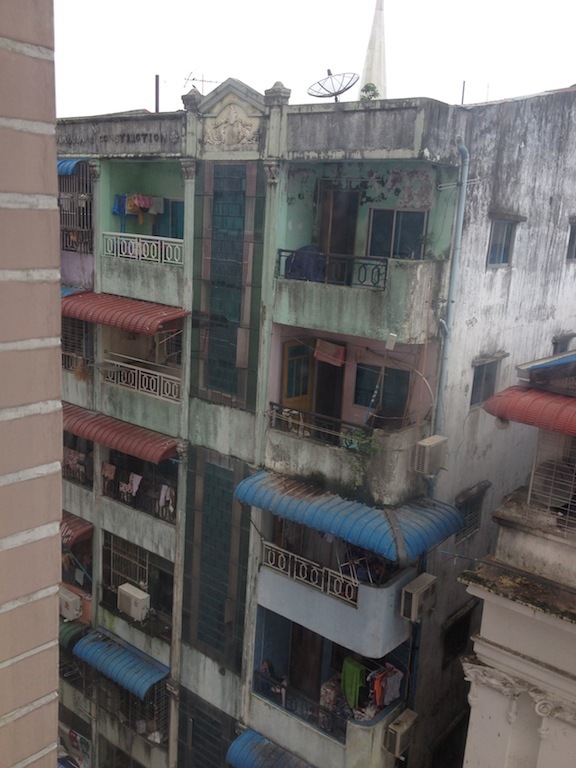 This BU Blog highlights some of these key HCS papers which may help fellow academics and students across the globe address similar ethical questions. HSC has a history of publishing on research ethics, Professor Emerita Immy Holloway wrote about the researcher who may have a dual role, or even conflicting role, as researcher and health care professional (1). 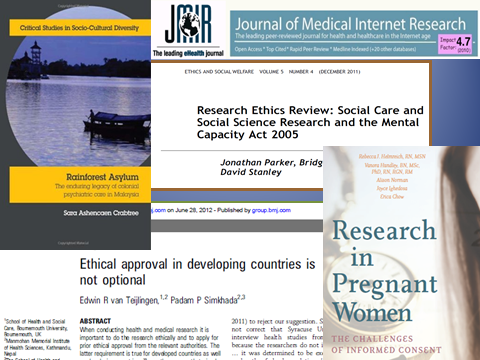 More recently, several midwifery researchers in the Centre for Midwifery, Maternal & Perinatal Health wrote about the issues facing practitioners doing research in the field where they work, especially concerning the similarities and differences between professional ethics and research ethics (2-3). Negotiating ethical paths cleaved by competing concerns between protecting research participants and over-managing the ethical process is tricky. In her book Rainforest Asylum: The enduring legacy of colonial psychiatric care in Malaysia Dr. Ashencaen Crabtree in the Centre for Social Work, Sociology & Social Policy, addresses the problematic issue of gate-keepers in research together with the ethics of critical observation of abuse (potential or actual), as well as the ethics of advocating on behalf of research participants (4). The fear that the ethical application process in the UK is becoming more and more cumbersome and bureaucratic has been widely recognised as highlighted by Prof. van Teijlingen and colleagues (5-6). Research ethics review processes are also considered in terms of access to participants regarded as ‘vulnerable’ in a recently published paper by Dr. Ashencaen Crabtree (7) of ethnographers working in health settings who are seeking to understand the context of care and patient/service user experiences. She concludes that paternalistic control of participation on the grounds of ethical protection of vulnerable people seriously disenfranchises potential participants in preventing them from being able to share their relevant, lived experiences as recipients of service provision. Prof. van Teijlingen and BU Visiting Fellow Dr. Padam Simkhada highlighted that the social, cultural and economic contexts in which research is conducted often differ between developing and developed countries. However they stress that researchers need to apply for research ethics approval to the relevant local authority, if national legislation requires one to do so (8). A new and challenging area of research is the use of discussion boards as a source of research data. In their paper Dr. Bond and BU colleagues discuss both practical and ethical dilemmas that arise in using such data (9). In earlier research, Prof. Parker of the Centre for Social Work, Sociology & Social Policy, highlighted some of the benefits and dangers of using email and the Internet for research as the potential for electronic media continues its rapid growth (10). Obtaining informed consent is something that all researchers need to consider. However, in some research situations obtaining consent can be particularly challenging. Prof. Hundley and colleagues discuss the ethical challenges involved in conducting a cluster randomised controlled trial, where consent needs to be considered at a number of levels (11). In a second paper issues of consent during pregnancy, where there is the potential for harm to two participants, are considered (12). In research into the implications of the Mental Capacity Act 2005 for social research, Prof. Parker explored the contested meanings and difficulties associated with informed consent in social research, highlighting some of the challenges raised by an almost unquestioned acceptance of biomedical research ethics in social research and questioning whether potential ‘harm’ is different in this context (13, 14). This research has led to further explorations of the potential for ethical covert research by Prof. Parker and Dr. Ashencaen Crabtree. There a plenty of challenges to research ethics in both the health and social care sectors. Ethical considerations relate to technological developments such conducting research over the Internet or the analysis of tweets. HSC staff will continue to publish on a range of moral dilemma as well as practical issues related to research ethics. Moreover, academic from the two centres are planning a Masterclass on research ethics to be held in early 2014. Ryan, K., Brown, B., Wilkins, C., Taylor, A., Arnold, R., Angell, C., van Teijlingen, E. (2011) Which hat am I wearing today? Practicing midwives doing research, Evidence-Based Midwifery 9(1): 4-8.
van Teijlingen, E.R., Cheyne, H.L. (2004) Ethics in midwifery research, RCM Midwives Journal 7 (5): 208-10. Ashencaen Crabtree, S. (2012) Rainforest Asylum: The enduring legacy of colonial psychiatric care in Malaysia, London: Whiting & Birch. van Teijlingen E.R., Simkhada, P.P. (2012) Ethical approval in developing countries is not optional, Journal of Medical Ethics 38 :428-430. Parker, J. (2008) Email, ethics and data collection in social work research: some reflections from a research project, Evidence & Policy: A Journal of Research, Debate & Practice, 4 (1): 75-83. Helmreich, R.J., Hundley, V., Norman, A., Ighedosa, J., Chow, E. (2007) Research in pregnant women: the challenges of informed consent, Nursing for Women’s Health 11(6): 576-585. Parker, J., Penhale, B., Stanley, D., 2010. Problem or safeguard? Research ethics review in social care research and the Mental Capacity Act 2005. 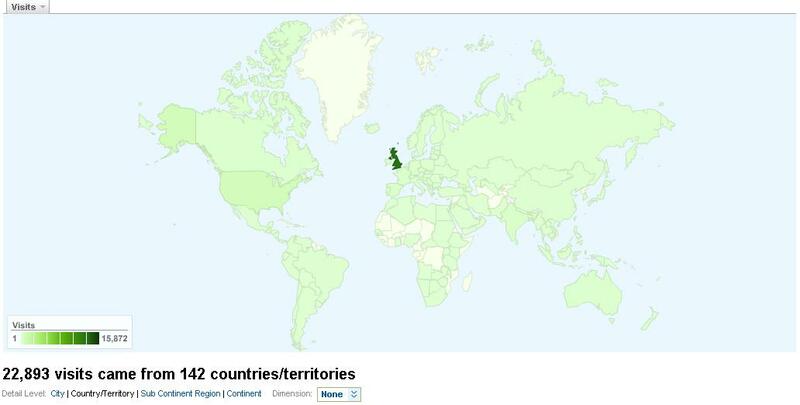 Social Care & Neurodisability, 1 (2): 22-32. Parker, J., Penhale, B., Stanley, D. (2011) Research ethics review: social care and social science research and the Mental Capacity Act 2005, Ethics & Social Welfare, 5(4): 380-400. Entitled, “Connecting Research with Communities through Performative Social Science” (PSS), the paper contextualises both the use of the Arts in Social Science, as well as the utility of Social Science in the Arts and Humanities. PSS is conceived of as a fusion of the Arts and Social Sciences, creating a new paradigm where tools from the Arts and Humanities are explored for their utility in enriching the ways in which we investigate Social Science subjects and involve communities in our research efforts and diffusion of our collaborative endeavours. Performative Social Science is redefined in terms of a synthesis that can break down old boundaries, open up channels of communication and empower communities through engagement. The article harks back the beginnings of PSS by recalling the influential AHRC funded series of workshops, “Social Science in Search of its Muse” held at BU throughout 2006-07, reported in a short video (https://vimeo.com/4327950). This was followed by a Special Issue on Performative Social Science for the online, qualitative journal, Forum: Qualitative Social Research (Jones et al., May, 2008), providing a wide range of examples and manifestations of PSS, with contributions from various disciplines/subject areas, and realized through a wide variety of approaches to research practice. Since these early efforts in PSS, the impact of these explorations has been measurable, including several completed PhDs utilizing principles of PSS, many journal articles, films and conference presentations nationally and internationally and further funding by Research Councils UK of research based in Performative Social Science methods. Jones then turns to examples from his own work to illustrate what happens when Art talks to Social Science and Social Science responds to Art. The benefits of such interaction and interdisciplinarity are outlined in relation to a recently completed project using multi-methods, which resulted in the production and current dissemination of the professional short film, Rufus Stone. Jones said, “Performative Social Science provides the overarching intellectual prowess, strategies and methodological and theoretical bases to engage and unite scholars across disciplines and, in turn, connect researchers’ endeavours with communities and stakeholders. Performative Social Science or a fusion of the arts and sciences are central to both community engagement and as catalysts for change”. The Nuffield Foundation, the Economic and Social Research Council (ESRC) and the Higher Education Funding Council for England (HEFCE) are launching a £15.5 million funding programme in October 2012 aimed at promoting a step-change in quantitative methods training for UK social science undergraduates. This 5-year programme will fund the creation of a network of up to 15 Quantitative Methods Centres to develop new approaches aimed at embedding the acquisition and application of quantitative skills to substantive issues in disciplines across the UK social science undergraduate curricula. Centres will be able to apply for funding of up to £350k per year to develop and deliver a wide range of fundable training activities, including bursaries for students attending holiday courses or in relevant work placements, recruitment of new staff and the development of new courses and pathways to careers requiring skills in quantitative methods. Centres are expected to be within single Higher Education Institutions, with limited scope for any consortia arrangements. Single departments or groups of departments within an Institution may apply, but only one application per Higher Education Institution will be allowed. We expect that competition for funds will be intense. Applying Institutions should therefore already have demonstrable expertise in and commitment to developing quantitative skills in the social sciences. If you are interested in applying, they hope that you will be able to attend one of these events. This is an open invitation, but all who wish to attend must register so that they can plan for numbers. Initially, no more than 2 attendees per HEI, but if they have room they would be happy to allow more. If you would like to attend, please RSVP by e-mail using the attached form to QMEnquiries@nuffieldfoundation.org by Monday 8th October. 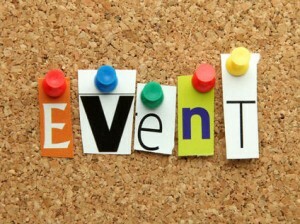 They will send further information about the events to registered attendees. “Data is the new raw material of the 21st century, it allows citizens to hold governments to account, drives improvements in public services by informing choice, and provides a feedstock for innovation and growth.” As open-source data is set to grow, this is a key time to better understand how it maps onto and possibly significantly strengthens, the ability of academics to understand society. The ESRC and Google are therefore pleased to announce the Google Data Analytics Social Science Research Call. suggest possible improvements/innovations in the tools to help integrate analytics and open-source data tools in general into the teaching/learning community. They have allocated £200,000 to fund a maximum of four research projects lasting up to one year. The call will open on 20 August 2012 and close on 2 October 2012. To register for this call launch workshop please send a brief description of your area of interest to:knowledgeexchange@esrc.ac.uk by 2 August 2012. Please note, this information may be circulated to other attendees unless you state otherwise.